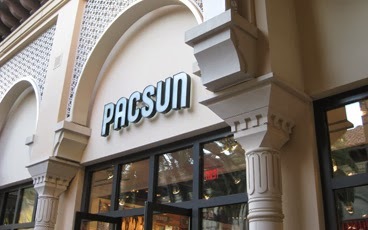 PacSun is famous for their mall stores that feature active lifestyle clothing that reflect California's lifestyle. The retailer sells their own brands along with other major clothing lines. The brands featured include Billabong, Crooks and Castles, DC Shoes, Diamond Supply Co., Fox Racing, Hurley, Neff, Nike, O’Neill, Roxy, RVCA, Vans, Volcom, and Young and Reckless. The mom that bought all of your shirts has a point. How do you review your products when you offer them for sale? This society just keeps going further and further down, and the people that complain are made fun of. I feel for you. I recently visited a store today that we frequent quite often. The sales person that was assisting us was very rude. There was a sign on the table listing a particular pair of pants on sale.When we went to purchase the item we were told that we needed to pay full price for the item. We mentioned that the pants were on sale and walked over to the table to show her the sign. She stated that these are the right style of pants but there is only one color of the pants that would be on sale. 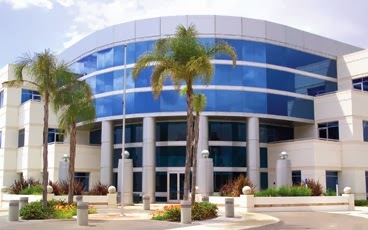 I stated that it should list that on the for sale sign. It only said the style was on sale and did not mention anything about only one color being on sale. She then snatched the sign off the table and went behind the counter and threw it down on the counter behind the cash register on the table. then she said if you want the pants you need to pay full price. I agree with you totally that service to the customer is not like it used to be. Its seems to me that customer relations is a thing of the past. Called pacsun Santa Monica today to ask if they has a shoe size available for exchange. Spoke with salesperson Marisa who was rude and not in a helping mood. I asked her if she could look up shoe by sku# I had she said no what's shoe name that's easier for her. I asked again because I wanted to make sure it was the correct shoe (since there's different styles) she was not willing to look it up for me so I said you're making go into the store to have them look it up for me? I then asked to speak to a manager who was willing to help me she then says she was a manager now what's the sku # (with an attitude). I gave her sku #, she said nope not in my system. I then called another pacsun who helped me with NO PROBLEM! They apparently let anyone become managers now! Poor customer service! Almost forgot, and that sku # WAS in their system! Store in Rolling Oaks Mall, San Antonio TX. Manager Patricia was extremely rude and talked very unprofessional to sales associates in front of customers using foul language. Will never go back to this store nor ever shop at Pacsun again! District or Regional Manager needs to see about hiring new store manager for San Antonio TX Rolling Oaks Mall. Took my kids school shopping and couldn't believe the profanity I was hearing from their Store Managers mouth. She was talking about a customer who just paid for her stuff and seems like she had an attitude and was using bad language with total disregard to my children standing there. Hopefully something is done about her and her potty mouth! Needless to say I took my kids to another store. Will never go back there to shop. I think her name was Trish. Knowing that the Virginia Laws do not require rest breaks nor lunch breaks for employees 18 or older ...my question is to your social responsibility in the work place. Are your employees not your make or break in the world of retail sales / Would seem that your company would send a directive immediately to all store to at least on any given work day especially an 8 hour that there should be scheduled breaks if not a lunch break a 15 or 20 minute rest or bathroom break. Pacsun has the reputation of being a laidback place of work but all I have seen are employees breaking there backs for their store and customers but not even being afforded a small break in an 8 hour shift Your employees are your gold mine. Treating them right means more profit for you, more satisfied customers and an example to other stores of a responsible and caring company. The store observed in question here is located in Fredericksburg, Virginia at Spotsylvania Town Center. Great store, Great and Caring sales people and Management, clean, straight, and always upbeat...be employee friendly...brings us back every time. Word of mouth and observing the work conditions determine if this is where we spend our time and money.